The following notes were compiled by the Eagles media relations department following the Eagles' 31-6 loss to the Washington Redskins. Offensive Quick Hits - The offense has scored on their first possession of the second half in nine straight games (four touchdowns, five field goals) ... WR DeSean Jackson has 273 career receptions for 4,774 yards. His reception total is tied with Mike Quick for the most ever by an Eagle in his first five seasons and he needs just 30 more yards to surpass him in that category as well ... RB LeSean McCoy had a season-high 67 receiving yards ...WR Riley Cooper tied a career high with five receptions. 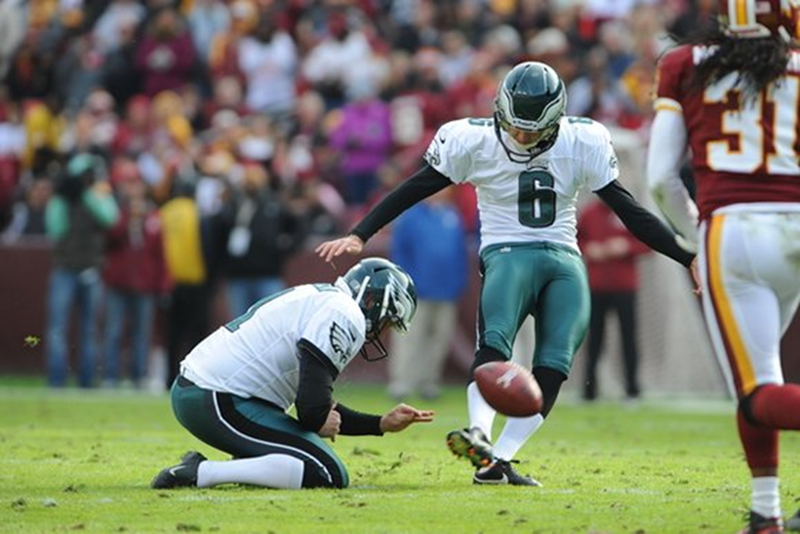 Oh Henery - K Alex Henery has made 16 field goals in a row, which the fourth-longest streak in team history and the second-longest current streak behind Cleveland's Phil Dawson (25). Defensive Nuggets - The Eagles are the only team in the NFL that has not allowed a 100-yard rusher this season ... DT Fletcher Cox and DE Trent Cole split a sack. Cole now has 70 in his career ... DE Jason Babin also recorded a sack and leads the team with 4.5 this season.